Details from our favourite pin-back buttons! Do you follow our Instagram page? We highly recommend that you do! Especially if you are in the process or thinking about ordering custom pin-back buttons. We have dedicated this page to our favourite pin-back buttons past & present. The button artwork from our Instagram posts are a great source of reference material for your own custom button ideas. 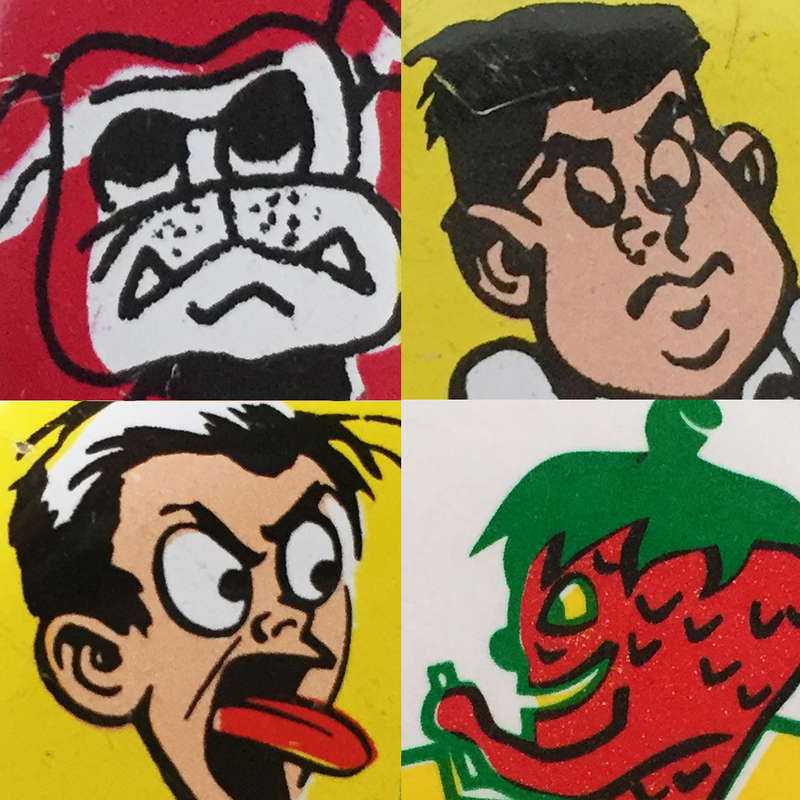 Here is a close-up look at some of our favourite character designs from the pin-back buttons we’ve thrifted over the past weeks!